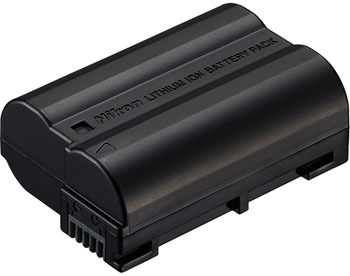 The Extra EN-EL15 Nikon Battery is a spare battery for many Nikon camera models (listed above). It is always a good idea to keep a spare battery with you when shooting for long periods of time. • This battery is for the Nikon D7200, D7100, D7000, D810, D800/E, D750, D610, D600, and Nikon 1 V1 cameras. A spare charger is not included.